I’ve been indulging my girly side in anticipation to my first trip to Paris in June. I knew I needed this little lacy piece in any country and can’t wait to pair it with a macaron during my upcoming trip. 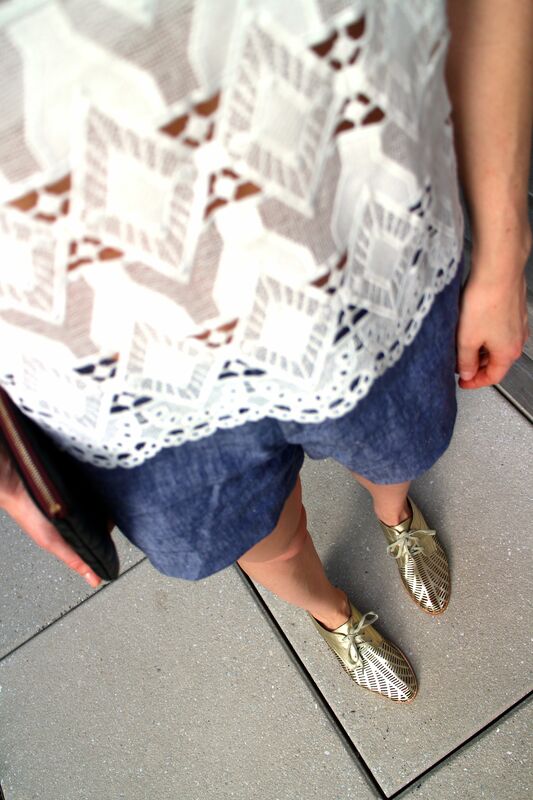 With Summer starting to heat up in NYC, I decided chambray shorts and my new chop were the perfect partners in crime over the weekend. 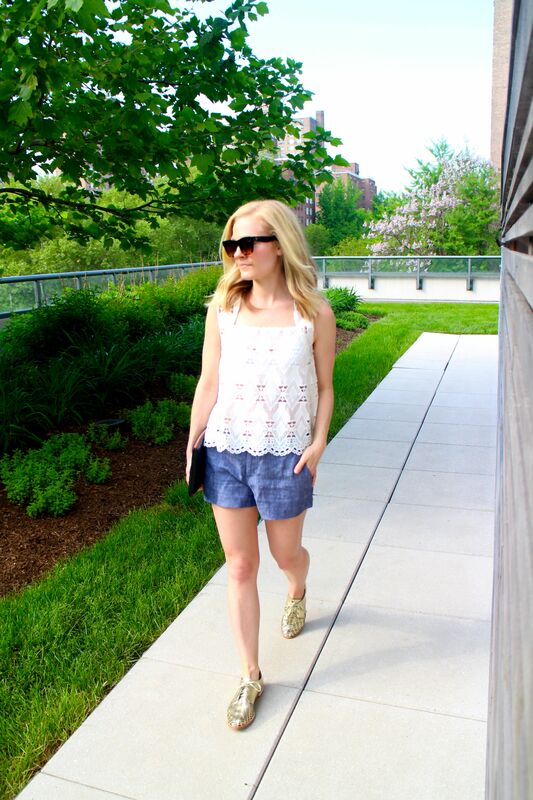 Top: Maje, Shorts: Joie, Shoes: Matt Bernson, Pouch: Chanel, Sunnies: Celine.